There have been numerous studies that sitting behind a desk all day is bad for your health. This must be true because my Apple Watch reminds me to stand up and walk around every hour like clock work. 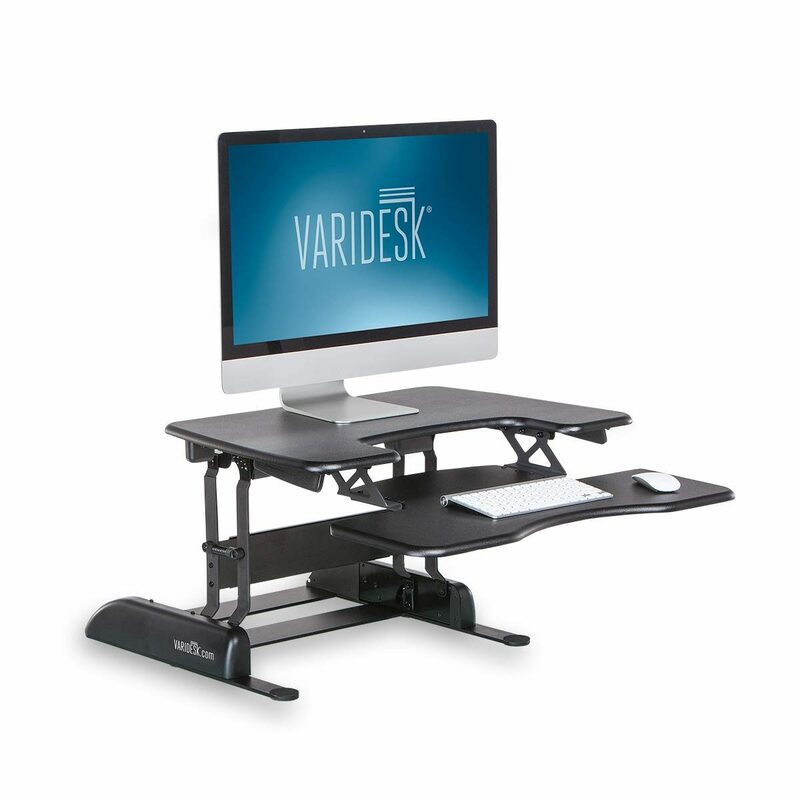 Therefore the Varidesk Pro Plus must be a good thing. Seriously, I’m not sure if we need a study to tell us that sitting around all day like a couch potato is not good for you, just like we don’t need a study to tell us vaping and smoking is bad for your health too. With that said lately the trend in the office is to convert our conventional office space into standing office space as cost effective as possible. At first we were deploying these to staff that had back issues and doctors notes, but now we are pretty much giving them to anyone that asks. 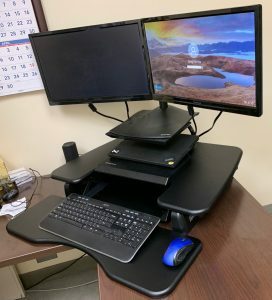 We did a bit of research before purchasing our first stand up desk and found some cheap junk all the way up to very expensive electric desks with electric drive motors. 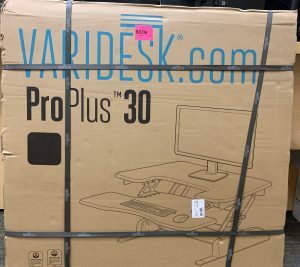 The desk we chose was the Varidesk Pro Plus 30. Its not the cheapest running about $325.00 on Amazon but I can say you do get a really nice sturdy desk for your money. The desk arrives in an oversized box. You really should have a helper on hand to assist with the unboxing and setup. 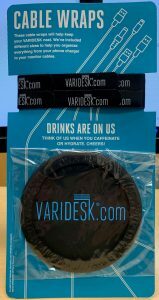 The Varidesk folks put a number of goodies to help you easily get setup. Included with the instruction manual are a number of Velcro wire tires, a rubberized cup coaster and a thank you card. The desk is easily adjusted by pulling the two release handles on each side and has about a dozen different heights that can be selected. Once the releases are pressed simply pull up or push down on the desk to your desired level. The desk will “lock” into place and you can begin working. 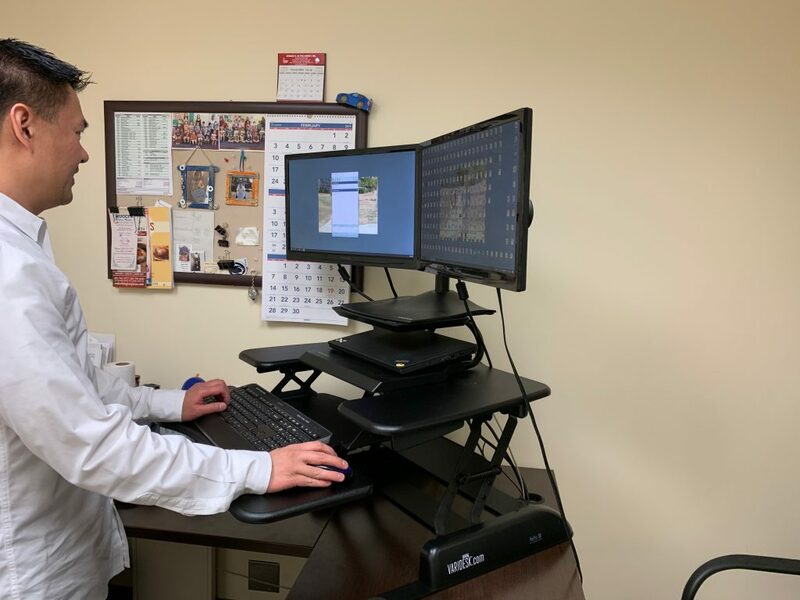 Keep in mind the desk is counter weighted to ease with the pulling and pushing making it easy for any adult to adjust. I highly recommend the Veridesk Pro 30! With free prime shipping at Amazon the $325 price tag is money well spent! CLICK HERE to check it out. 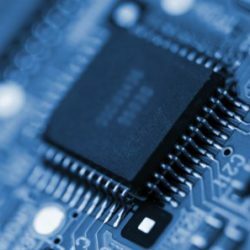 Previous PostPrevious Making a great home network! Next PostNext Who Holds Amazon Accountable For Screw-ups?